Zombies : Run, Hide or Fight? The Zombie Apocalypse has arrived, civilization has fallen and you must prepare to face a zombie invasion. But how exactly do you prepare for the end of the world? What kind of zombies will you even be facing? Are they running or walking? Have they risen from the grave? Or are they the product of a viral leak from a secret government research experiment? In order to maximise your chance of survival you first have to know what you are up against. Combining ancient folklore with popular culture creations, there are currently a multitude of imaginative theories about what might cause a zombie outbreak and the different types of flesh-hungry creatures which would arise out of the wreckage. In George A Romero’s Night of the Living Dead, zombies are believed to be “The result of radioactive contamination from a space probe that exploded in the Earth’s atmosphere” (wiki.urbandead.com) . The zombies, or rather, Walkers in AMC’s The Walking Dead TV series, move in a very similar way to the Romero zombies but they are believed to be the result of “a virus that everyone already has, alive or dead” which can be triggered after death. The feature film World War Z witnessed a breed of zombie, or rather, zeke that are produced as the result of a virus of unknown origin that mutates humans into zombies in 12 seconds. Not only are these zombies mutated at speed, they also move at speed and function in a completely different way to the Romero zombie. To help make some sense out of this living dead dilemma, here is our guide to the many different faces that could appear during a zombie apocalypse and the best ways in which you can deal with them. To simplify things and improve your chances of survival we have categorized these zombie varieties into three main groups: CONTROLLED, CONFUSED and CONNIVING! We have included information on how each category of zombie can be eliminated and also your best strategy for survival in each case. If you start the apocalypse with a defence strategy for surviving each kind of zombie, you will significantly maximise your chances of emerging from the apocalypse with a steady heartbeat and no increased compulsion to bite people! We refer to these zombies as ‘controlled’ because they are not acting independently but have been enslaved. The original zombies from Haitian folklore were assumed to be dead, but were actually living victims enslaved by a bokor and controlled with drugs until either death or their master chose to release them from their zombified state. The movie credited with being the first to feature zombies was White Zombie, made in 1932 starring screen legend Bela Lugosi. This movie shows how these zombies had the potential to be dangerous if their master wanted rid of you but to the rest of us would pose little threat. 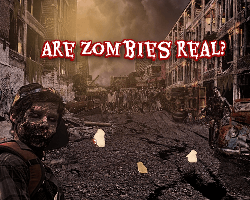 For more information about Haitian zombies check out our blog post: Are Zombies Real? Haitian zombies are not dead, they are slow moving, and only harmful if you have upset their master or you get in their way. Fortunately, it is fairly easy to deal with this type of zombie. 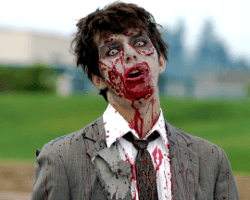 In his book entitled Salt, Mark Kurlansky, explains that feeding salt to a zombie will cure them of zombification. Alternatively, you could just isolate these zombies until the drugs wear off. Some black coffee and a lie in and they’ll be ready for work on Monday. We have classified this group of zombies as confused because their movement, expressions and gutteral moans gives the appearance of someone who is dazed and confused. It is generally accepted that this type of zombie is the re-animated corpse of someone who has died. It is to this form of zombie that most fans of the zombie genre relate. The concept of a re-aminated corpse, a living dead, leapt from the imagination of George A Romero and clawed its way onto our screens in 1968 in the first of his “dead” movies: Night of the Living Dead, Dawn of the Dead, Day of the Dead, Land of the Dead, Diary of the Dead, and Survival of the Dead. As described by Simon Pegg (Shaun of the Dead): “Romero adopted the Haitian zombie and combined it with notions of cannibalism, as well as the viral communicability characterised by the vampire and werewolf myths and so created the modern zombie” that we all know and love (to kill). The zombies characterized by Romero are undead, slow-moving and have an insatiable desire to eat human flesh. Post zombie outbreak, any human who dies can re-animate as a zombie, “regardless of exposure to a zombie”. These zombies are not alive, have no circulatory system and therefore are incapable of moving quickly. They cannot climb, cannot verbally communicate and certainly don’t have the energy to boogie with the king of pop. Romero-esque zombies are incapable of communicating with one another, generally sticking to a gutteral moan and the occasional growl when they attack. This might lead you to assume they are incapable of rational thought or making strategic decisions. That is, until Land of the Dead arrived. Click Image to view George A Romero’s Land of the Dead Trailer! 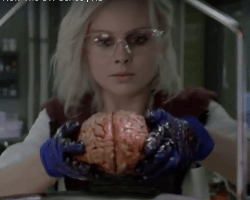 These zombies can be eliminated by destroying their brain, as demonstrated so capably in Shaun of the Dead. In a one to one confrontation, a zombie would be a poor adversary for anyone strong enough to wield a bat or a golf club. Click Image to view how Shaun and Ed kill Zombies! Their danger lies in numbers so it is imperative that they are not given the opportunity to bite and infect more victims. Here are some possible courses of action you could think about and plan in advance of the zombie apocalypse in order to maximise your chances of survival. Get yourself somewhere safe, preferably high up as these zombies cannot climb. Your own house is the most comfortable place to take refuge with a little preparation. If you have an attic, now is the time to kit it out with emergency supplies. Once safely ensconced in your hideout, listen daily to the radio for the all clear. You may have to last several days or more so some form of entertainment would be good; but not zombie movies. If you can’t get back to your own home, find somewhere clean and dry where you can barricade yourselves in for a few days until the military services have had the chance to erradicate the zombies. It is best to avoid places where there are likely to be alot of people, as crowds increase your chances of running into someone who has been bitten; not a hospital, not a school and definitely not a shopping mall! Think Zombieland, where Tallahassee finds his group of rag-tag survivors an abandoned mansion in Beverley Hills wherein they can take refuge. If you are inspired by The Walking Dead and feel the need for wide open spaces where you can see an ensuing zombie horde coming over the hill, your best bet is to head north to colder climes. As these zombies have no circulation it is likely they will move even slower in cold temperatures, so pick the coldest safe haven you can find. Taken to its logical conclusion, zombies would hardly be able to move in freezing temperatures. Though there may be exceptions. Pack supplies including water purifiers, emergency blankets and food. Refuge can come in many forms; anything from an abandoned barn on a farm to a well-stocked tree house. Guard your perimeters and do your best to camouflage your whereabouts whilst sleeping. The best way to survive an outbreak of slow-moving undead zombies is to stay in one place, barricade yourself in and wait for the military to do what they do best. The weapon of choice to defend yourself is a baseball bat, golf club or crow bar iron because they are most effective at destroying the brain, do not require ammunition, are easy to acquire and light to carry. Fortunately, undead re-animated zombies cannot move quickly, so you are only really vulnerable when standing still or sleeping. If anyone in your group becomes infected, unfortunately there is no cure so you should isolate them and prepare for the inevitable. With World War Z we saw the advent of ‘zekes’, a new breed of viral infected zombie who along with the typical traits of cannibalism and insatiable appetite, can be strategic, can co-operate with other zombies and above all else, they can run! Click Image to view the epic Jerusalem Wall Scene from World War Z! Some people argue that true zombies are incapable of moving quickly. 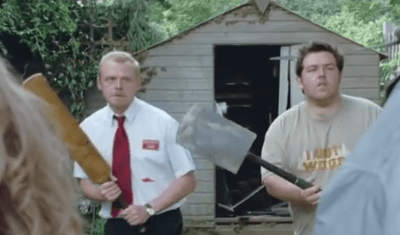 Simon Pegg (Shaun of the Dead) suggests that the entire cinematic notion of the fast moving zombie has been created simply to satisfy society’s “demand for quicker everything – quicker food, quicker downloads, quicker dead people”. The general perception of what constitutes a zombie certainly concurs with this idea. Haitian zombies and those depicted by George A Romero were always lacking in co-ordination, they were slow moving with blank expressions and incapable of speech. Essentially, this is because these zombies are dead. 1) In the same way we have embraced and accepted the notion of reanimated corpses rising from the grave to scavenge and eat their way through civilisation, the concept of a viral infected zombie such as the zekes in World War Z has worked its way into our subconscious as a breed of zombie that needs to be feared and addressed. 2) Whether it has been caused by a virus, a radiation leak, or the work of an evil genius, it is theoretically possible for a human to exhibit zombie-like behaviour as the result of “damage that affects specific areas of the brain”. If those parts of the brain that control memory, anger and moral code were destroyed but the motor functions of the brain and reasoning capabilities remained intact, the resulting infected human would exhibit the behaviour we associate with zombies but would also retain the ability to anticipate, to plan and most urgently, RUN! As the conniving zombies are not re-animated corpses, then technically they are not zombies. However, if you had a crazed, blood-thirsty cannibal chasing after you, trying to bite you, the word “ZOMBIES!!! !” is most likely what you would be screaming as you fled for your life! In World War Z the main protagonist Gerry, portrayed by Brad Pitt “explains his theory that the zombies ignore the infirm for the healthy, and suggests injecting themselves with a deadly but curable disease to mask themselves from the zombies”. By subjecting uninfected humans to pathogens with known cures, the zombies are no longer a threat to humans. This is very convenient for a movie, but carries only a small probability of providing a solution. Viral infected zombies can move quickly, have the ability to anticipate situations and have the capability to form a strategy. However, their overriding weakness is that they are no stronger than humans and have the same basic needs. They require nourishment, water, shelter and sleep, and because they are not dead, they can be killed by conventional weapons. Wounding them will slow them down, a fatal blow will destroy them. If they are deprived of nourishment and water they will eventually expire just like all humans do. Your best chance of survival is to put distance between yourself and any zombies, whilst simultaneously arming yourself to the teeth with whatever weapons are available. There would probably be a small faction of the community who feel the zombies are just getting in touch with their inner feelings and should be isolated and understood until a cure arrives. Our advice is to let them get on with it, but keep your Smith and Wesson handy. The safest place in an apocalypse of viral infected zombies is behind someone with a bigger weapon than the one you have. Get thee to a military base as fast as your armour-plated land-rover will take you! a clip from Dawn of the Dead (2004) set to Hangman’s Song ! On a one to one basis you might stand a chance but against a pack of fast moving zombies heavy artillery is the best solution. 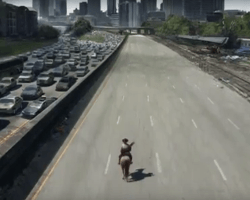 If the apocalypse caught you unawares and you have to barricade your family in at home, you should bear in mind that these viral zombies are smarter than your average undead slow-moving zombie. You might find yourself defending your home from your next door neighbour-turned-zombie who knows you keep a spare key under the mat! Think of your home as a castle facing a marauding bunch of ne’er do wells. The ideal defence would be a moat, lofty battlements with peripheral views, a catapult and crossbow with flaming arrows. You don’t need to get close enough to batter their brains, so think projectiles and flaming missiles rather than hand to hand combat. When it comes to fast moving zombies a crossbow will always trump a cricket bat! You should also try to camouflage your whereabouts so they think no-one is home, and listen to that radio for the all clear. If you cannot get to that military base you might feel safer in the wide open spaces where you can see a fast-moving horde of zombies rampaging over the horizon. Unfortunately a well guarded tent and a look-out is not going to be enough so make sure you construct a secure, camouflaged hideout stocked with plenty of weapons, fresh water and food. A lofty tree house with a rope ladder you can retract would be an excellent choice but an abandoned castle would be better! 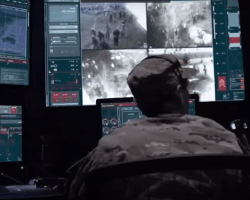 The best way to survive an outbreak of fast-moving viral zombies is to get to a military base and fast. The weapons of choice would be missiles and projectiles or any rapid fire hand weapons that can be shot accurately from a distance. If you could isolate these zombies and wait long enough, they would expire through lack of nourishment. Dare we suggest digging a camouflaged zombie pit? In conclusion, no-one wants to contemplate the prospect of a zombie apocalypse, but secretly many would relish the challenge! So if you’ve always wondered how you’d fare during the End of Days, why not sign yourself up for a Zombie Boot Camp Experience Day? At the very least, these action packed excursions will impart some practical combat skills which will offer you a head start against the inevitable – Zombies!! !